ARKYN KNIT SHOES PREMIUM ARKYN TRAINERS WITH UPSCALE DETAILS. Designed for women who aren't af..
ARKYN KNIT SHOES MODERN KNIT SHOES THAT RIFF OFF RETRO RUNNERS. The Arkyn offers a feminine de..
CAMPUS SHOES AN ICONIC '80S B-BALL LOW TOP, UPDATED IN PLUSH NUBUCK. Born on the B-ball court ..
CONTINENTAL 80 SHOES A TENNIS LOOK FROM THE 1980S RETURNS IN FRESH STYLE. Steeped in nostalgia..
CONTINENTAL 80 SHOES A TENNIS LOOK FROM THE 1980S RETURNS IN FRESH STYLE. Dial it back to the ..
DEERUPT RUNNER SHOES Deerupt is defined by a standout minimalist design. These shoes show off web..
DEERUPT S SHOES MESH SHOES WITH A STRIKING GRID LOOK. Deerupt is defined by a standout minimal..
EVERYN SHOES CLEAN, CONTEMPORARY COURT SHOES FOR WOMEN TO DRESS UP OR DOWN. Looking to the leg..
Falcon Alluxe Shoes The Falcon Alluxe flaunts a carefree, rebellious look inspired by retro trend..
FALCON SHOES A CHUNKY RETRO-SNEAKER INSPIRED BY '90S FASHION. The Falcon flaunts a carefree, r..
FALCON SHOES A RETRO RUNNING STYLE INSPIRED BY '90S FASHION AND ELECTRONIC DANCE MUSIC. The Fa..
NMD_CS1 PRIMEKNIT SHOES AN NMD SHOE WITH BOOST CUSHIONING AND SHEER KNIT BANDS ACROSS THE FOOT. ..
NMD_CS1 PRIMEKNIT SHOES AN ULTRA-MINIMALIST DESIGN THAT CRADLES YOUR FOOT IN COMFORT. With a c..
NMD_R1 PRIMEKNIT SHOES AN NMD SHOE WITH A SLEEK ADIDAS PRIMEKNIT UPPER AND RESPONSIVE BOOST CUSHI..
NMD_RACER PRIMEKNIT SHOES THESE CONTEMPORARY SHOES PAIR '80S RACING ROOTS WITH EMBROIDERED DETAIL..
PHARRELL WILLIAMS TENNIS HU SHOES PHARRELL WILLIAMS REIMAGINES CLASSIC TENNIS STYLE. 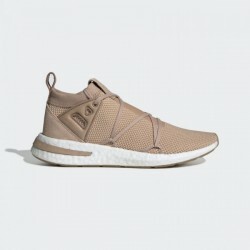 An adidas..
POD-S3.1 SHOES POSH STYLE AND NEW COMFORT REMAKE THE BREAKTHROUGH P.O.D. DESIGN OF THE '90S. T..
SAMBA OG SHOES THE CLASSIC LOOK AND FEEL OF THE AUTHENTIC SAMBA. Born on the soccer field, the..
SAMBAROSE SHOES AN ELEVATED TAKE ON THE CLASSIC SAMBA, WITH A PLATFORM OUTSOLE. These trainers..
STAN SMITH SHOES Created in 1971 for tennis star Stan Smith, this clean-cut men's shoe holds a sp..
STAN SMITH SHOES A CLEAN AND CASUAL ICON WITH LACE-FREE COMFORT. The Stan Smith shoes were bor..
Stan Smith Shoes Born on the tennis court, the Stan Smith has become a streetwear favourite. Buil..
STAN SMITH SHOES LOW PROFILE AND ULTRA SMOOTH, THIS ICONIC COURT SHOE WAS INSPIRED BY TENNIS-LEGE..
SUPERSTAR 80S SHOES PREMIUM LEATHER ADIDAS SUPERSTAR SHOES WITH EXTRA-WIDE 3-STRIPES. With its..
SUPERSTAR FOUNDATION SHOES THE ADIDAS SUPERSTAR SNEAKER, REISSUED WITH PREMIUM MATERIALS AND SIGN..
SUPERSTAR SHOES THE ADIDAS SUPERSTAR SNEAKER, REISSUED WITH PREMIUM MATERIALS AND SIGNATURE DETAI..
SUPERSTAR SHOES This '70s sneaker began life as a court-dominating B-ball shoe. It wasn't long be..
YUNG 1 SHOES MESH SHOES WITH A CHUNKY RETRO SHAPE AND EMBROIDERED TONGUE DETAILS. A love for 2..